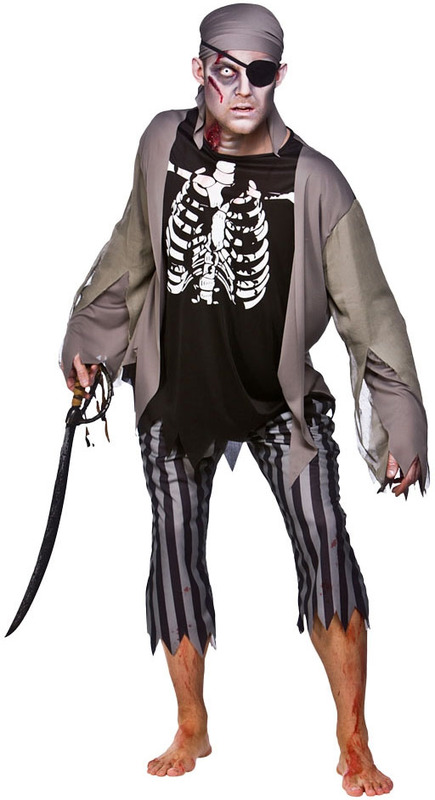 Become a scary creature with this interesting triple-hybrid outfit mixing zombies, skeletons and pirates in to one outfit. 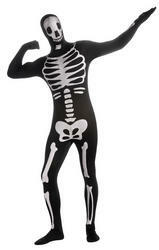 Included is ghostly jacket with attached black skeleton shirt and stripey pirate trousers. 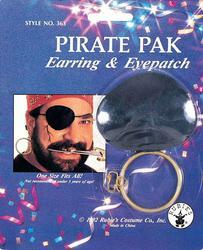 To complete the look are the essential pirate accessories: eyepatch and bandanna! 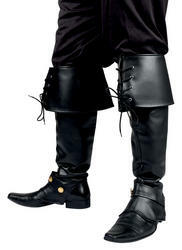 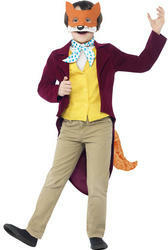 Perfect for scaring your friends at a pirate fancy dress party or for Halloween.